If one sets aside some minor downsides, such as famine, floods, droughts, attacks by other tribes or death by some incurable disease, life in the Neolithic age was not necessarily so bad. If you got a smart idea – say, how to capture a deer that had been seen around – you could call on your neighbour, convince him with the force of your arguments, and then possibly the two of you would set out to convince more people and go hunting. If you were on your deathbed you would call your family and leave your last words to them so that you could die in the hope that those around your deathbed would forward your last will to your grandsons and great-grandsons. With an increasingly sophisticated and geographically expanded society, communication had to keep up with new needs. Writing evolved from simplified forms of drawing and painting and enabled the recording of spoken words, but could also be used to send messages to individuals in remote places or times. Kings and emperors – but also republics – could even afford to set up standing networks of couriers to propagate their will to the remotest corners of their empires or territories within the constraints of the time it took to cover the distance with a series of horses. A manuscript could reach more people, but only if they happened to be all at the same place. If not, they could only read it at different times in a sequence. However, if a group of sufficiently learned people was hired, multiple copies of an original could be made and distributed to multiple places and multiple people at the same time. In those early times creation of copies and distribution of manuscripts was indeed time consuming and costly. Gutenberg’s invention of mobile character printing made reproduction and distribution of written works cheaper and faster, thereby achieving an incomparably – for those times – higher productivity. Use of the invention required skilled people – with quite different skills than those needed before for copying manuscripts. Spreading an idea, until that time a process that involved a large number of people spending their time traveling and talking to other people or copying and distributing manuscripts, became a much simpler undertaking as demonstrated by the rapid spreading of Protestantism across 16th-century Europe. It took several centuries before the invention of the typewriter made it possible to compose a written text that did not carry with it the handwriting of the person who had typed the text. Daguerre’s photography was the first example of a technology enabling the automatic reproduction of the visual component of a natural and static scene without necessarily requiring a particular artistic ability on the part of the person taking a picture. On the other hand, at least in the early years, considerable technical ability was required to handle a camera, take a picture, and develop and print photographs. Photography had also the added advantage that multiple copies could be made from the same negative. Similarly, Edison’s phonograph enabled the recording of the sound components of a portion of a physical space on a physical carrier, with the possibility to make multiple copies from the same master. An important difference between photographic and sound recording technologies of those times was that producing negatives and printing photographs required relatively inexpensive devices and materials, and was kind of within the reach of the man in the street, while recording and printing discs required costly professional equipment that could only be afforded by large organisations. Cinematography of the Lumière brothers permitted the capture not just of a snapshot of the visual component of the real world but of a series of snapshots close enough in time that the viewer’s brain could be convinced that they reproduced something that looked like real movement – if the series of snapshots was displayed in a sufficiently rapid succession using an appropriate device. The original motion pictures were later supplemented by sound to give a more complete reproduction of the real world, satisfying both the aural and visual senses. The physical principles used by these technologies were mechanical for printing and sound recording, chemical and optical for photography and mechanical, chemical and optical for cinematography. In the wake of expensive line-of sight communication systems such as deployed by Napoleon for state use, Samuel Morse’s telegraph enabled any user to send messages in real-time to a physically separated point by exploiting the propagation of electromagnetic waves along wires, whose physical principles were barely understood at that time. The telegraph modulated an electric current with long and short signals separated by silence to enable the instantaneous transmission to a far end of a message expressed by Latin characters and, later, characters of other languages as well. The facsimile device enabled the transmission to a far end of the information present on a piece of paper put on a scanning device and transmitted. The teletypewriter enabled transmission of characters to a far end where an electromechanical printer would print the characters of the message. Telephony extended the basic idea of telegraphy by sending an analogue electric signal coming from a microphone, a device that contained carbon and produced a current when sound waves impinged on it. 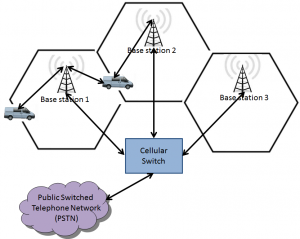 Telephony was designed to enable real time two way communication between people. The discovery that electromagnetic waves propagate in the air over long distances led to Marconi’s invention of wireless telegraphy first and sound broadcasting, called “radio” par excellence, later. What was done for sound, however, was later done also for light, where the equivalent of the microphone was a tube made sensitive to light by a special phosphor layer that produces current when hit by light. The equivalent of the loudspeaker was the Cathode Ray Tube (CRT), a tube with a nearly planar surface producing light at a given point of the screen at a particular time with an intensity proportional to the magnitude of the input electric signal. But unlike the time-dependent one-dimensional electric signal at the output of a microphone, the light intensity on the surface of the light-sensitive tube is a time-dependent two-dimensional signal. The mapping of such a signal into a time-dependent one-dimensional signal was achieved by reading the current generated by an electron beam scanning the tube in an agreed order (left-to-right and top-to-bottom) at a sufficiently high frequency. The purpose of scanning is similar to the one achieved with cinematography, viz. to convince the brain that the sequence of rapidly changing illuminated spots created by the electron flying spot is a continuous motion. The electric signal is then transmitted to a CRT where an electron beam, moving synchronously with the original electron beam, generates time-wise the same intensity that had hit the pick-up tube. The television scanning process produces much higher frequencies than audio because of the need to represent a two-dimensional time-dependent signal. The highest frequency is proportional to the product of the number of times per second an image is scanned (frame frequency), the number of scanning lines (vertical frequency) and the number of transitions that the eye can discern on a scan line (horizontal frequency). At the time the first television systems were introduced, the state of technology suggested the trick of subjectively “doubling” the frame frequency and the scan lines, to reduce what would otherwise be a fastidious flicker effect. A frame is composed of two “fields”, where one field has the horizontal scan lines offset by half the vertical line spacing with a process called interlacing. 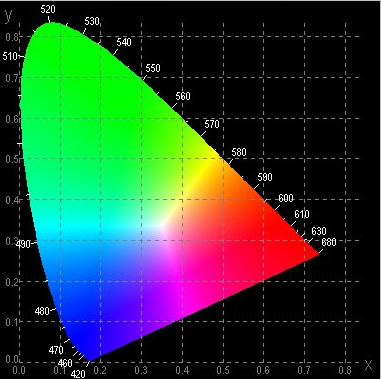 Originally CRTs were only capable of producing black-and-white light and therefore television could only produced monochrome pictures. Later, it became possible to manufacture pick-up tubes/CRTs with 3 types of sensor/phosphor, each capable of sensing/producing red, green and blue light, so as to pick up and generate colour pictures that looked more natural to the human eye. It was indeed experimentally proved – and physiological bases for this found – that any human-perceived colour can be expressed as a combination of 3 independent colours, such as Red Green and Blue (RGB) used in television and Cyan, Magenta and Yellow, with the addition of blacK (YMCK) used in colour printing. The transformation of the aural and visual information into electric signals made possible by the microphone and the television pick-up tube, along with the ability to magnetise tapes covered with magnetic material moving at an appropriate speed and then to read the corresponding information, facilitated the invention of systems to record audio and video information in real-time. In more recent times radio has been used to offer telephone service to people on the move. A number of antennae, deployed in an area with an appropriate spacing so as to create a set of “cells”, capture the signal emitted by mobile telephone sets and hand it over to the antenna nearest to the receiving set when a mobile handet changes cell. 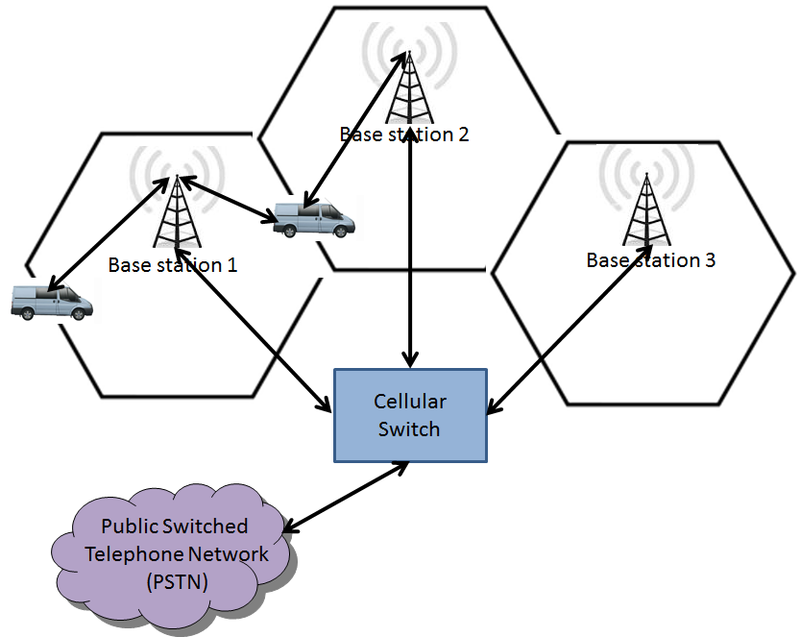 The cellular system handles the transition to the next cell, so that users are not even aware that they are communicating through a different antenna.